Mature forests live out their lives and eventually die. Death can be natural or it could come from a destructive force such as a hurricane or forest fire or from an insect infestation. What follows the demise of a forest is a renewal of young growth, thickets and brush and young trees that create an entirely new and vital habitat supporting a rich diversity of wildlife. One of our feathered friends that prefers the brush, fields and the edges of young woods is the Timberdoodle, better known as the American Woodcock (Scolopax minor – meaning “little lover of the swamps or bogs”). Difficult to spot in nature because due to its perfect camouflage that blends with mottled colors of leaf litter, our recent migrant is seen at dawn or dusk wading through the soft soil around roadside ditches and low areas near the woods in search of his favorite food… worms. 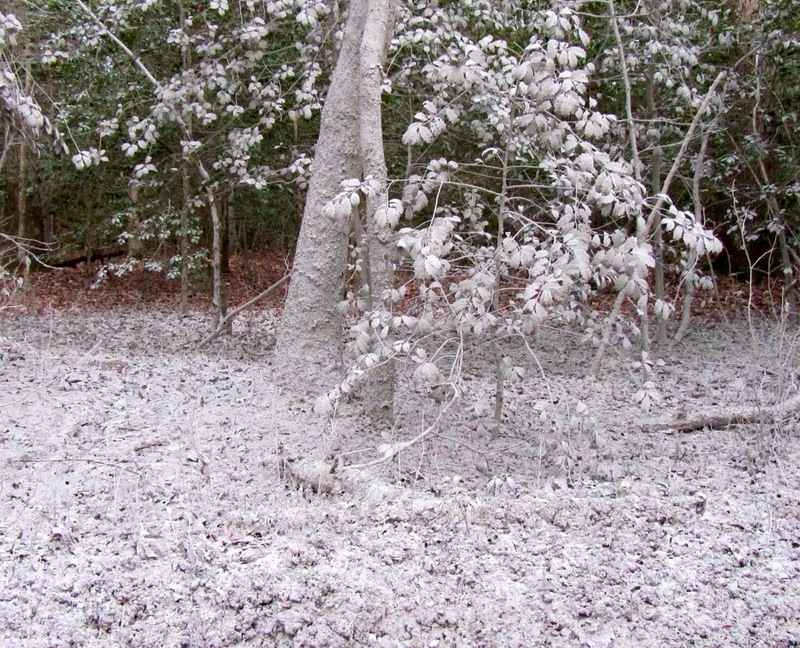 Camouflaged American Woodcock. Click to see him. It was no secret that I wanted to photograph our new arrival… so yesterday when my neighbor called that one was at the edge of his woods, I grabbed my camera and ran. 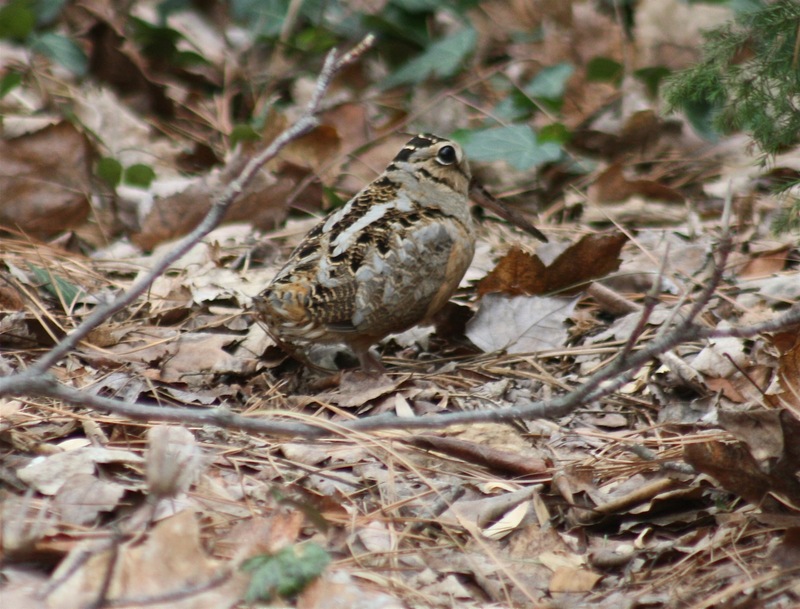 This little woodcock, probably an early arriving male, was seen bobbing through the leaves and soft earth at the edge of my neighbor’s woods. It took me a minute to find him but all of a sudden, there he was, frozen and still, watching us. I moved to catch a better view of this small bird. Click to see the long bill. The woodcock feeds on insects by inserting its long flexible beak into the soil. It will eat a variety of insects but worms make up to 90% of its diet. Its eyes are large and high on its head with perhaps the highest visual field of any bird to observe danger from all directions. 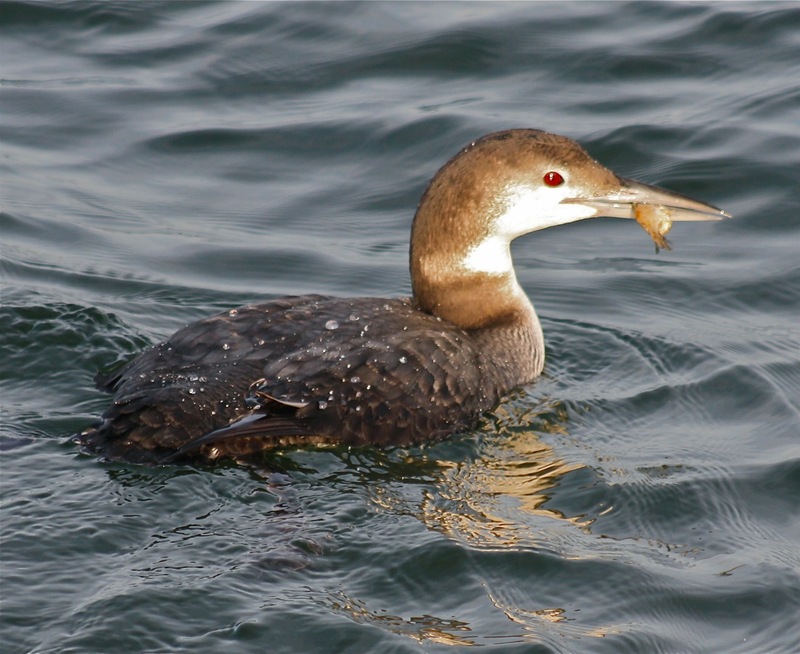 To find out more about the life cycle of this quirky little fella, including his wild mating ritual, his bobbing way of walking, and ground nests, read about him on Cornell Lab of Ornithology. Sadly, the once high woodcock population is declining about 1.2% a year. Brushy areas needed for habitat are disappearing due to an increase of mature forests, urban development and forest fragmentation. 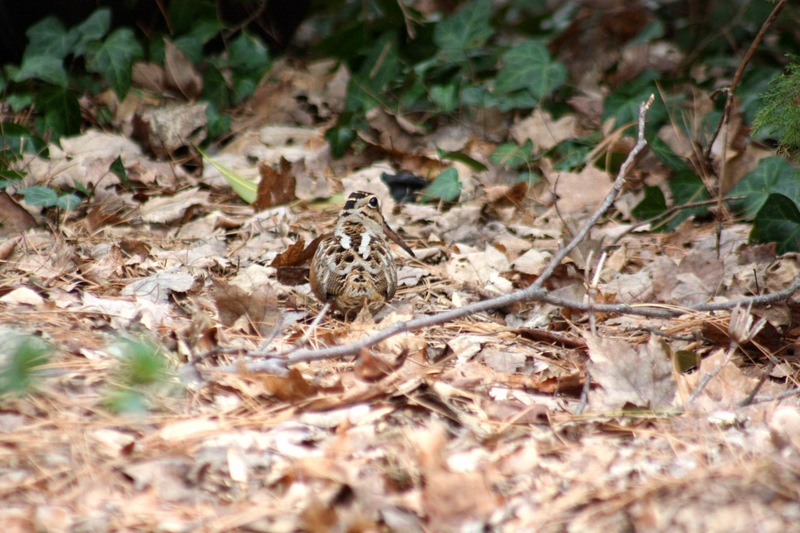 In an attempt to boost woodcock populations, the Atlantic Coast Young Forest Initiative, a part of the Woodcock Conservation Plan, began in 2010 to create habitats for the bird from Maine to Virginia. To restore the species’ to the 1970s level, 20 million acres of young forest must be added to the current national landscape. Part of the plan calls for re-educating American landowners about how they can renew a forest to preserve biodiversity for animals that need this habitat. To learn more about ways a landowner can help, click HERE. 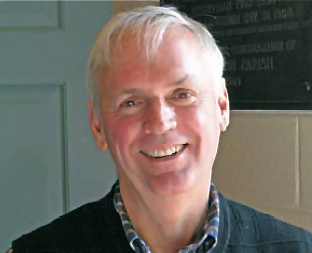 Thanks to an anonymous $1 million gift honoring Washington area attorney Brendan V. Sullivan Jr. and Lila Sullivan, the removal of the Glenn Dale Azaleas, the National Boxwood and Perennial Collections at the National Arboretum has been suspended. This gift from the heart was announced on Valentine’s Day by the nonprofit group, Friends of the National Arboretum (FONA). But this is only the beginning. This largest single donation in FONA’a history protects the collections today but the funding issues for the future have not gone away. The Department of Agriculture will face more budget cuts in the years to come. FOMA is developing a plan for additional private support to ensure the future of these collections. The National Arboretum’s new director, Colien Hefferan, stated, “FONA’s efforts in support of the Arboretum pave the way for us to work toward a new, vibrant future for this treasured place.” Dr. Hefferan said she is planning to meet with key stakeholders this spring to discuss the future of the collections. The Arboretum is also asking for your feedback through its website. 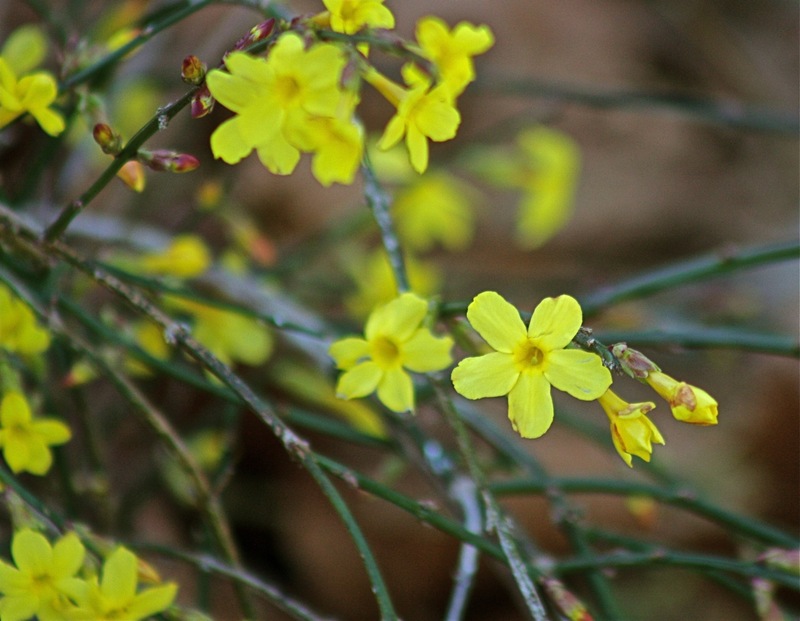 The 10,000 Glenn Dale Azaleas (see November blog), the boxwood collection, daffodil and perennial collection were said to be destined for the chopping block due to the loss of a $110,000 grant. After a massive public outcry and a campaign of lobbying politicians, the communal voices received the desired outcome. One of the most vocal protests came from Don Hyatt, an international expert on azaleas and a firm supporter of the 65-year-old Glenn Dale Azalea collection. 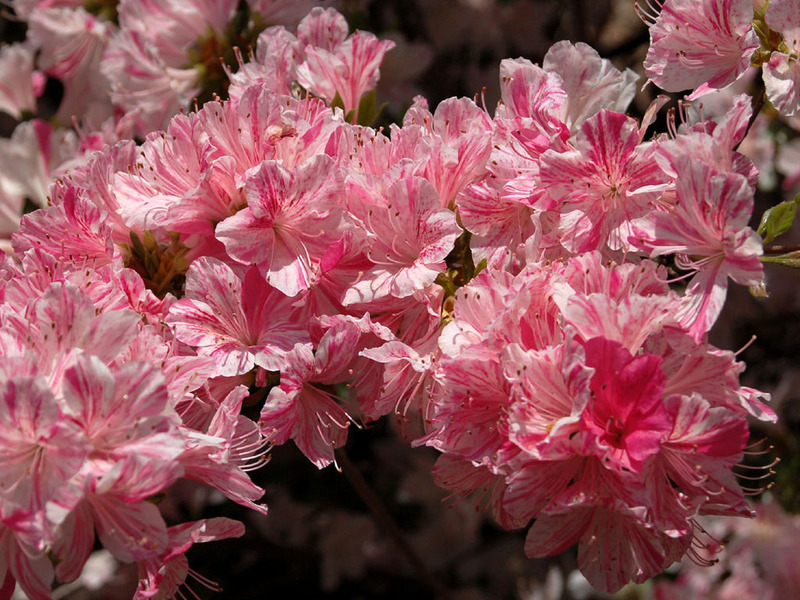 This month, Don spoke to our Gloucester Master Gardeners, thrilling us with breathtaking PowerPoint photos of species of native azaleas growing wild throughout the Eastern U.S. He ended his presentation with an update and summary of the fight to save the Glenn Dale Azaleas. 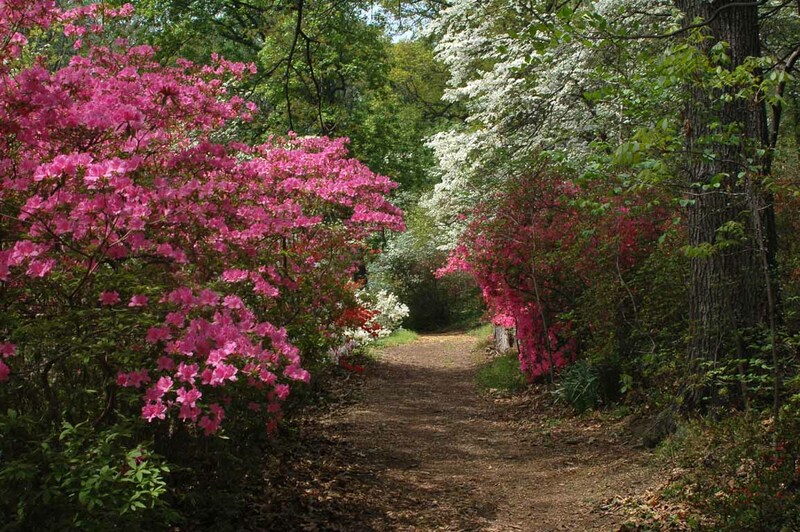 With the fervor and devotion and passion for preserving the azaleas of the National Arboretum, I have no doubt that it was Don Hyatt who lit the match to start the blaze of public protests leading to the February 14 announcement. Last month the USDA deregulated Monsanto’s genetically modified alfalfa for unrestricted planting this spring (2011) in spite of protests and outrage from citizens and health groups. Genetic material from viruses and bacteria have been inserted that allows the crops to survive applications of normally deadly Roundup. Roundup-Ready (GE) Alfalfa will soon introduce the toxic herbicide Roundup herbicide (Glyphosate) around the world. 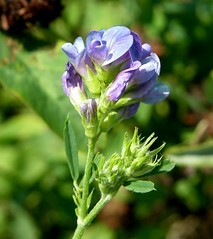 Genetically Engineered or Genetically Modified (GE or GM) or Roundup Ready alfalfa will reach everyone’s dinner plate. You may not eat alfalfa but it is a primary food source for dairy cows and beef cattle, pork, lamb and sheep. The pollination process by insects will spread the pollen and alter the genetic makeup of all alfalfa plants. Unless something is done to add restrictions on the seed, more than 21 million acres of alfalfa, the fourth largest crop in America, is due to be planted in the U.S. in several weeks. Right now, over 90% of alfalfa hay planted in the U.S. does not use any herbicides. The GE alfalfa will follow other modified crops: soybeans, corn and cotton, sugar beets and Canola. The alfalfa is not only used as food, it is used as a soil amendment and will stay in the soil. The effects on our soil, plants, animals, and the human population was circulated among master gardeners today, which details the over 40 plant diseases that Roundup causes. If you would like to read this article, click HERE. If you want to join the voices who are protesting this latest development, send an email letter to USDA Secretary Tom Vilsack to urge him to fully investigate the damage from Roundup. According to the manufacturer, the Multi-Snip is the ultimate tool. “It slices! It dices! It washes the dishes and makes your bed.” Well, it doesn’t do all that at my house but it has fast become an indispensable gardening tool for me. I was introduced to this handy tool at a master gardener meeting where our County Extension Agent wore one in a sheath on his belt, displaying it and saying he couldn’t do without it. It was his most used tool in the garden. I bought two of them on his word, one for me and one as a gift for a gardener son. 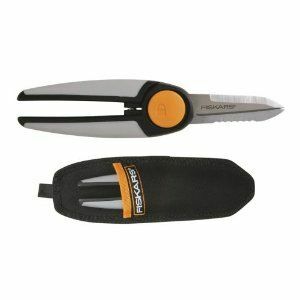 The Multi-Snip features four tools in one: pruning/multi-purpose snip, fine-edged knife, serrated kniife, and wire-cutting notch. It comes with a sheath that hooks over a belt or pocket to keep the precision sharp blades covered. This is important as the blades can cause injury if not used properly. It’s a perfect snip for soft or smaller woody stems. As Fiskar says, “…when it comes to garden chores, there’s nothing this handy device won’t do. It clips wayward stems, slices twine, eats through burlap bags, and even cuts wire.” Check it out at Amazon or a good gardening store. It is a versatile small tool for gardening that I highly recommend. Yesterday’s hint of spring photograph is replaced by today’s reminder that we are still in winter’s grip. According to Brent Heath of Brent and Becky’s Bulbs in Gloucester, it’s not too late to plant our leftover fall bulbs in our area. Matter of fact he told me he spent one entire day last weekend getting the last of his bulbs planted in his garden. As long as the bulbs are properly prepared, he said, it’s fine to plant them now. The blooms will try their best to bloom, maybe late the first year, but should be on schedule for the following year. 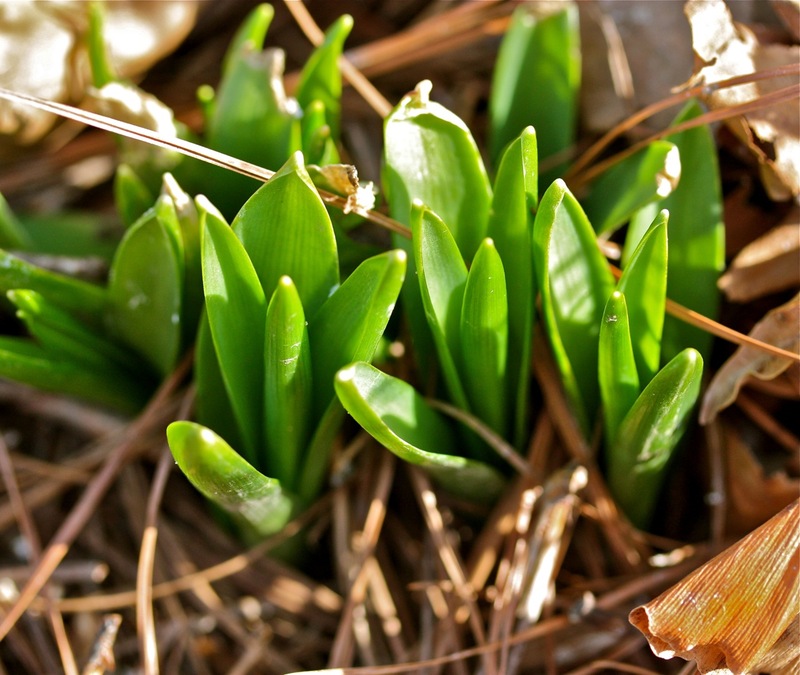 When he said bulbs need to be properly prepared, he meant that spring blooming bulbs need a period of dormancy in the cold in order to bloom in the spring. When you plant your bulbs in the fall, Mother Nature provides the chilling for you but you have not kept your bulbs cold, you can chill them in the refrigerator for several weeks to replicate winter conditions. But never store the bulbs in the refrigerator with apples or pears, fruits that emit ethylene gases. This would adversely affect the flowering in the spring. Confirmation that bulbs can be planted now was evidenced in Gloucester Courthouse this morning as I took my morning walk. Gloucester County employees were busy at work getting crates of tulips in the ground. 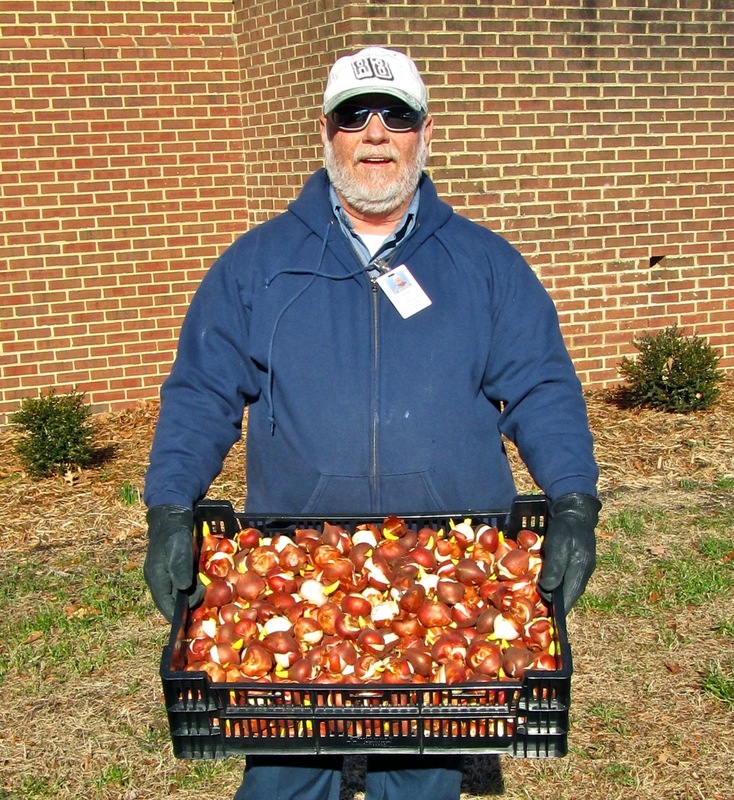 These are a fraction of the bulbs that Brent and Becky donate each year for their community. 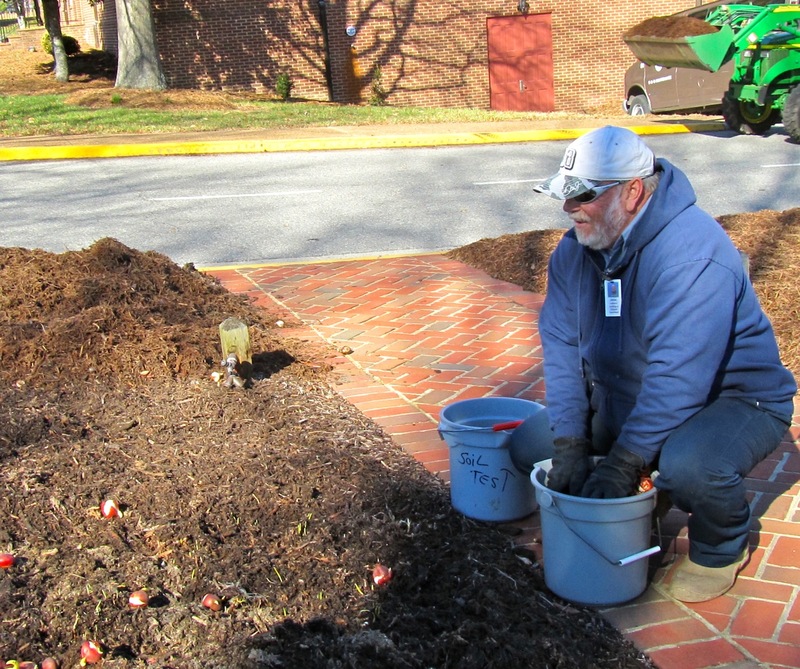 James Johnson was busy adding hundreds of the lovely cultivar tulip, Menton, to the borders and gardens in the Courthouse area. The garden he was concentrating on this morning was begun years ago by Brent Heath to honor his mother, so James makes sure he takes the extra time to make this border one that would make Brent proud. He said the bulbs are “crying to be in the ground” and he was making that happen. In borders like the one James was working on, mulch and compost were carefully pulled aside and the bulbs scattered over the ground, pointed end up. The mulch/compost was replaced and new shredded mulch was waiting to be raked over top. In other borders, holes were drilled with equipment and the bulbs were dropped into the holes, covered loosely, then topped with a nice layer of mulch. 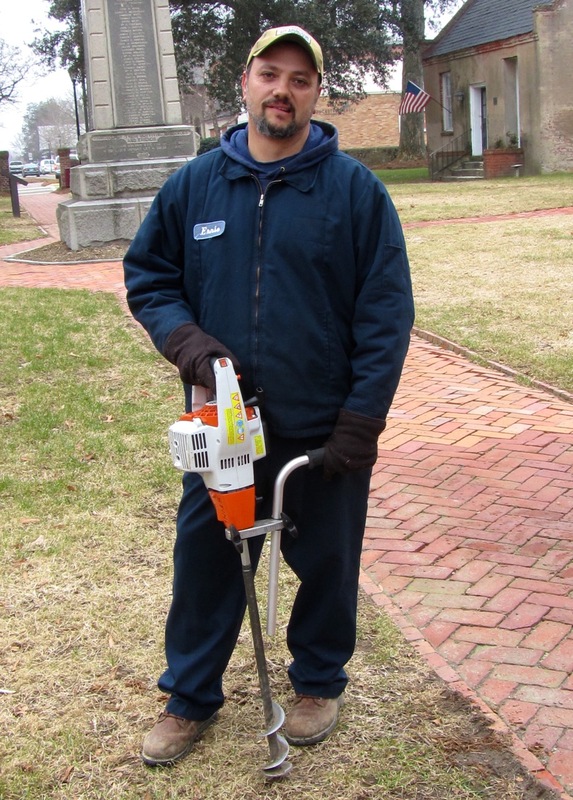 County employee, Eric takes great pride in the gardens and expressed much appreciation for Brent and Becky’s generosity. Because of them, Gloucester is known for her daffodils. What fun it always is to stop and chat with fellow gardeners. Even though we may not know one another, gardening is a shared interest that facilitates friendship. Gardening is a universal language. Have you ever met a gardener who didn’t want to share their garden? I have not. 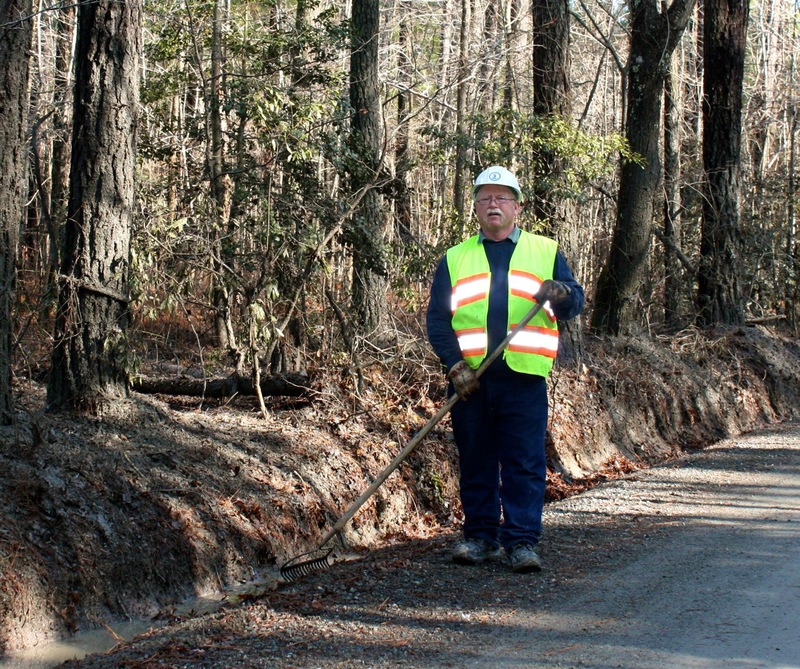 This time of year the Virginia Department of Transportation does a thorough cleaning of leaves from our roadside ditches so that water flows without obstruction. We live on a state maintained country road, upaved and sandy with deep ditches lining the road on both sides. It is forested on both sides of the road so leaves do pile up. 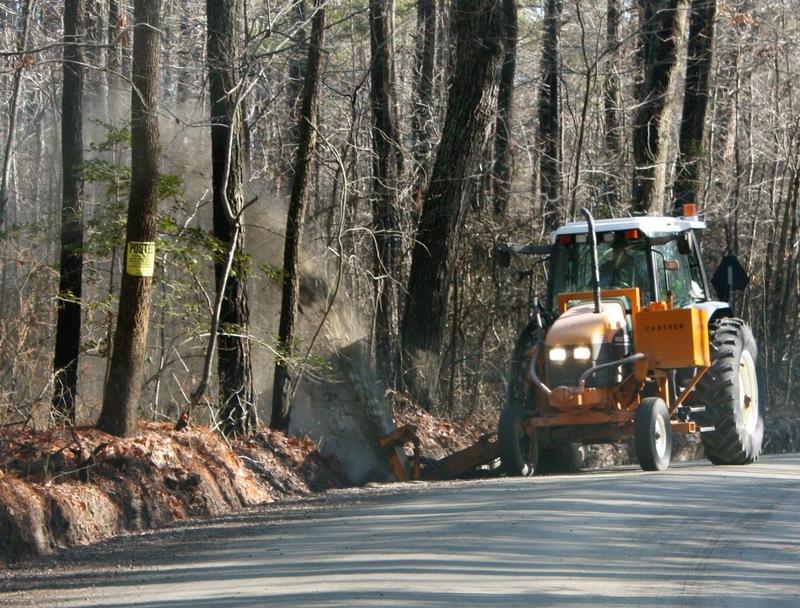 A VDOT worker walks the mile-long ditch with a rake, pulling and pushing the debris to the water. Next comes the interesting and surprising part of the ditch cleanup. Following the man with the rake is the man in the tractor. Attached to the tractor is a versatile impeller tool that is lowered into the ditch. With great force, it throws the leaves over the land. Not only leaves, it throws standing water while sculpturing the ditch banks to nicely edged trenches. With all that water and leaves, comes sloppy mud that is thrown 10′ high and 20′ deep onto the banks of the ditch. At first it looks simply wet. But after a day it dries to resemble volcanic ash or a moonscape. 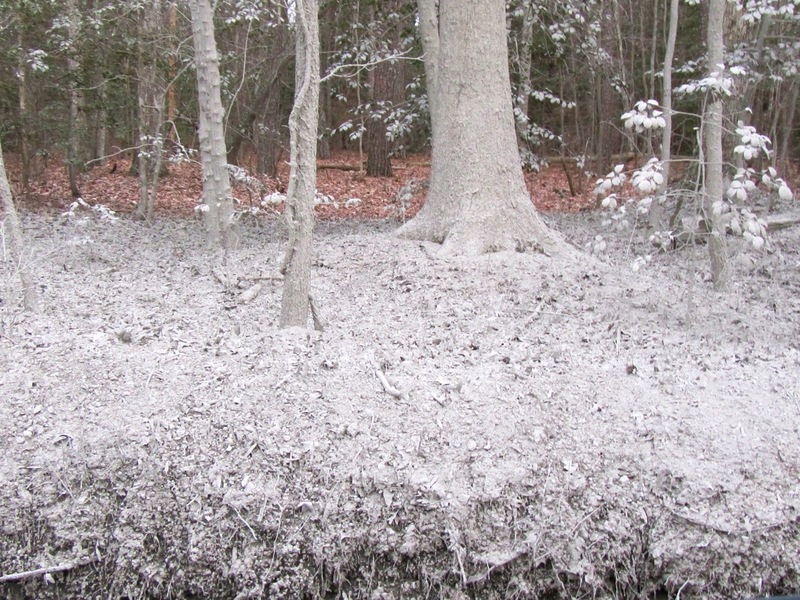 The trunks of large trees and small holly trees and shrubs are coated with a thick mixture of gravel and dirt that dries everywhere a ghostly shade of gray. Unless it rains the right away, the mud that has enveloped the sides of the road turns to a hard coating and can stay that way for weeks. Not too lovely to look at, but in time the film wears completely off with no lasting damage to the flora on the ditch banks. Ahh, the joys of country life! 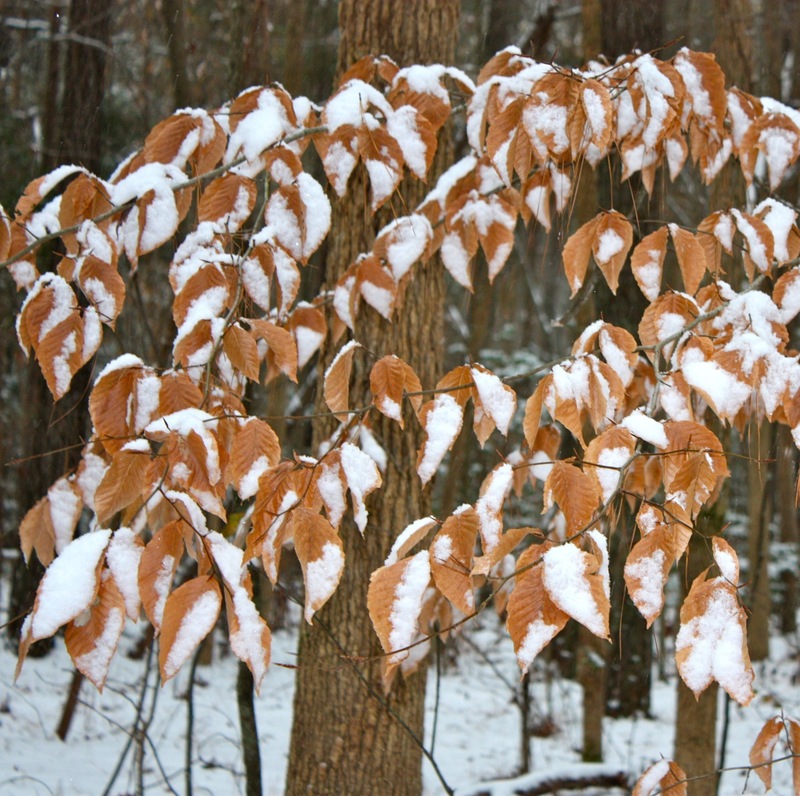 While half the country was brought to a standstill by fearsome snows, ice storms and gripping cold temperatures yesterday, somehow Virginia was spared. Yes, of course, I spent the day outdoors! There was no need to wear a jacket with an amazing 71 degrees under a warm winter sun. The breezes were brisk off the river but balmy and they seemed to beckon me to the waterfront and the activities around the water. This time of year it’s impossible to imagine the river without waterfowl. 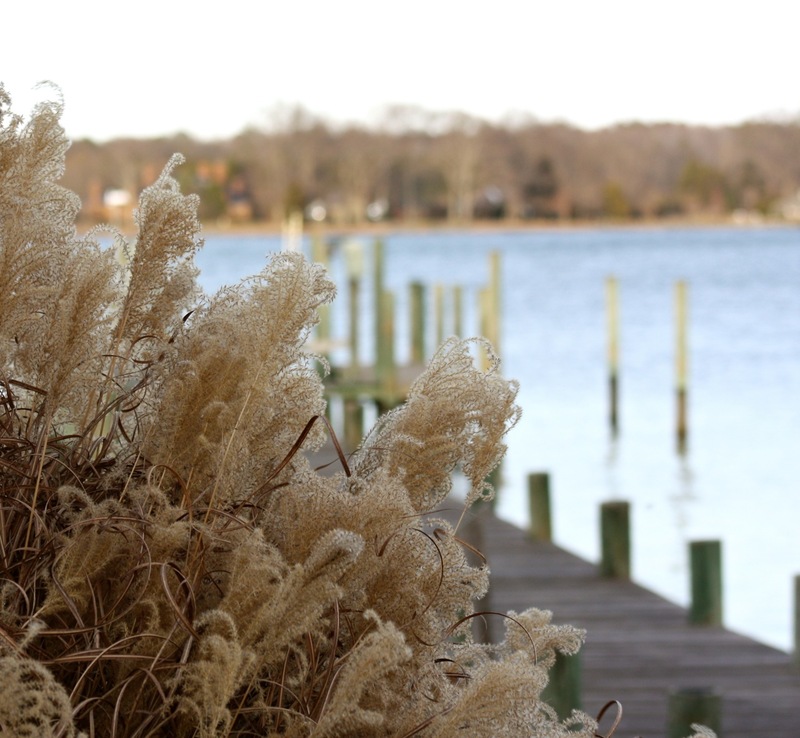 The Chesapeake Bay is located along the Atlantic Flyway for migratory water birds that winter along these coastal waters. 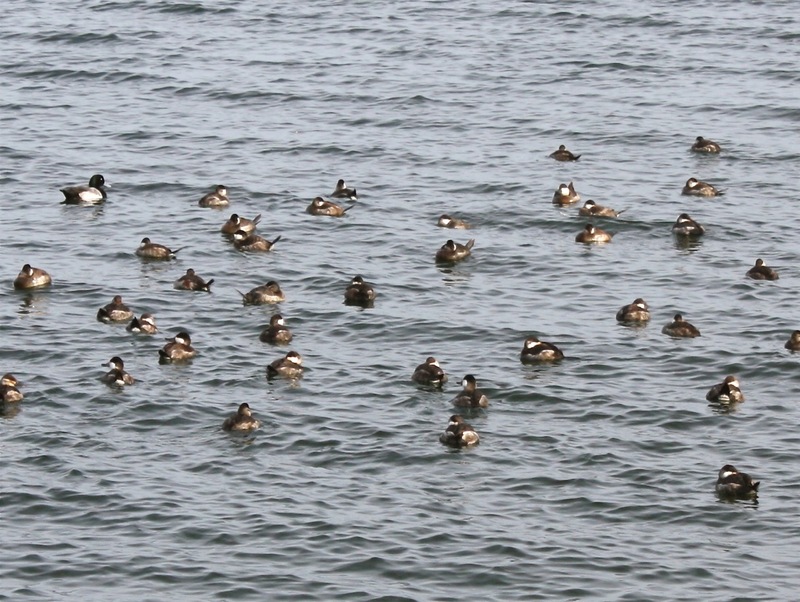 Camera in hand, I sat quietly on the end of the pier enjoying dozens and dozens of diving ducks, the bufflehead, canvasback, ruddy ducks and a gaggle of geese floating off the end of the pier in about 10-12 feet of water. Plump ruddy ducks (Oxyura jamaicensis) bobbed close, diving deep and long for crustaceans and plants. Their heads are large with a wide dark bill. In the summer, the male’s bill will turn a lovely blue and their mating plumage will turn ruddy. This time of year, the plumage is shades of browns and grays. I could hear the low wailing call of the common loon (Gavia immer) far out on the river, haunting and eerie. These long-bodied birds look like ducks with their webbed feet but they are unrelated. Its bill is straight and pointed and during the winter it wears its non-breeding plumage of browns and blacks and white around the throat. 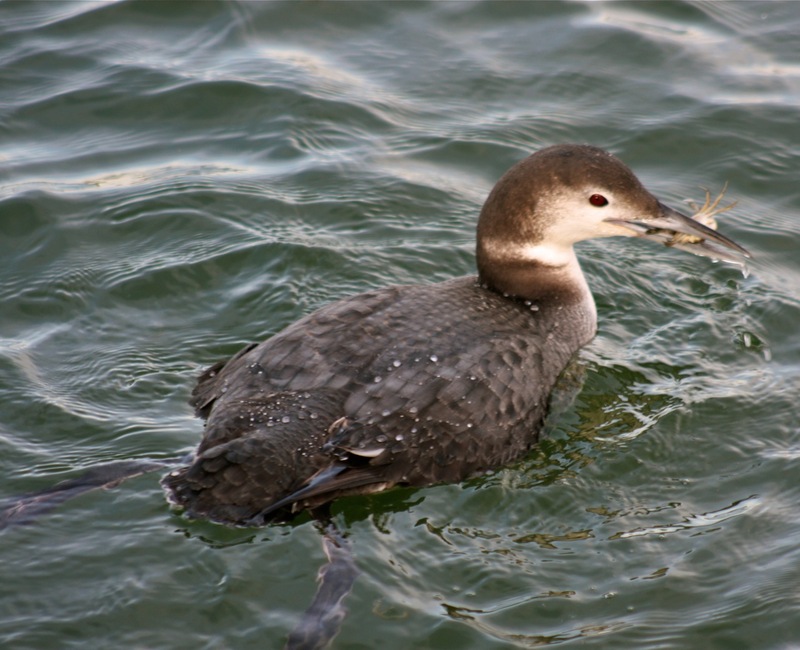 In the summer when I visit my daughter in Maine, I’ll see common loons in their breeding plumage, a distinctive black/white checkered back. On this river, it has always been a standoffish and evasive bird, swimming to the middle of the river by the time I reach the end of the pier. I have never gotten a close view of these winter visitors. Yesterday was a different story. 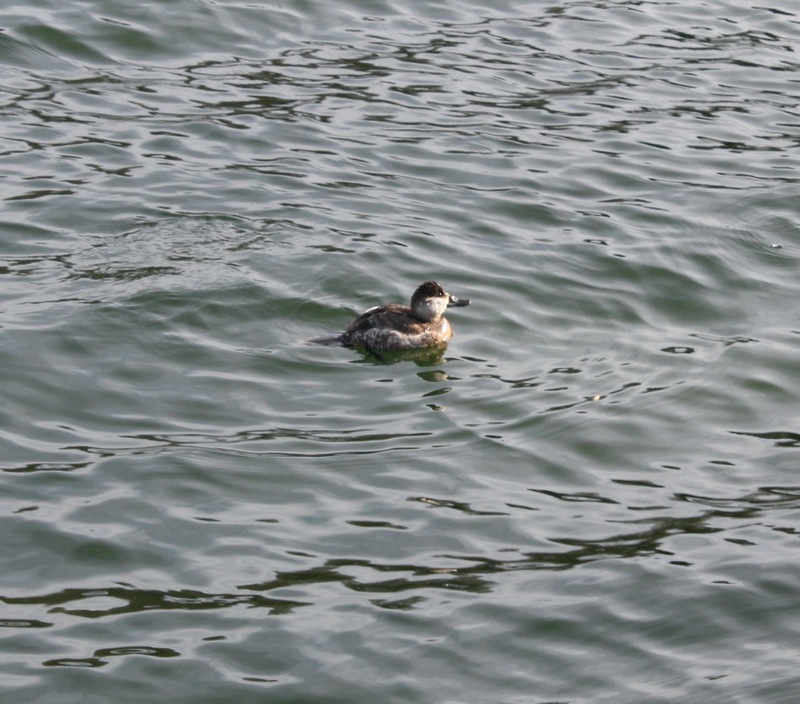 From a neighboring pier I spotted a solitary loon swimming slowly in my direction. 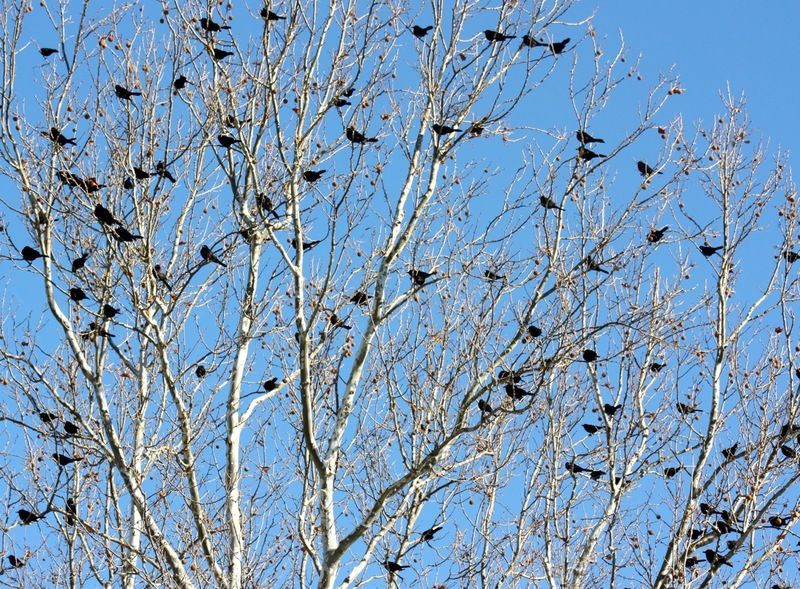 I simply froze in place and watched with the camera at eye level until the bird was directly beneath me. Yikes! What a beauty! 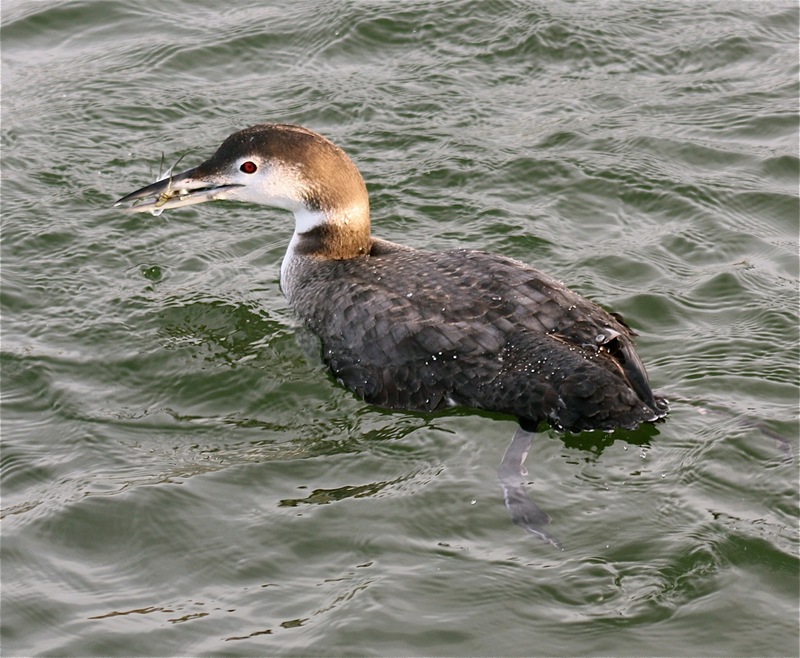 The loon feeds by swimming underwater with powerful legs positioned toward the rear of their bodies. 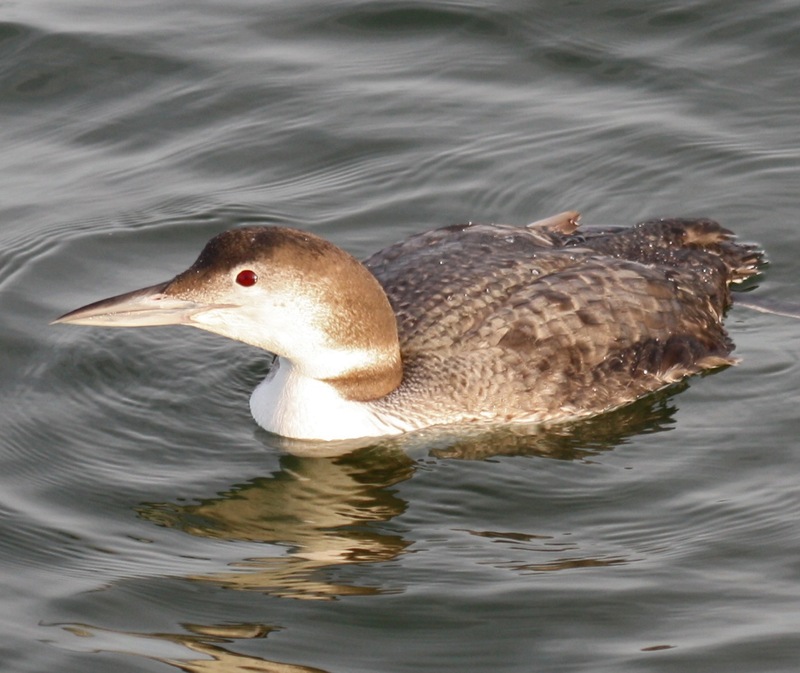 I watched as this loon repeatedly dove for long periods underwater, each time surfacing closer to me. And each time he surfaced, it was with some food. What was he eating? Click the photos to see the tiny meals. 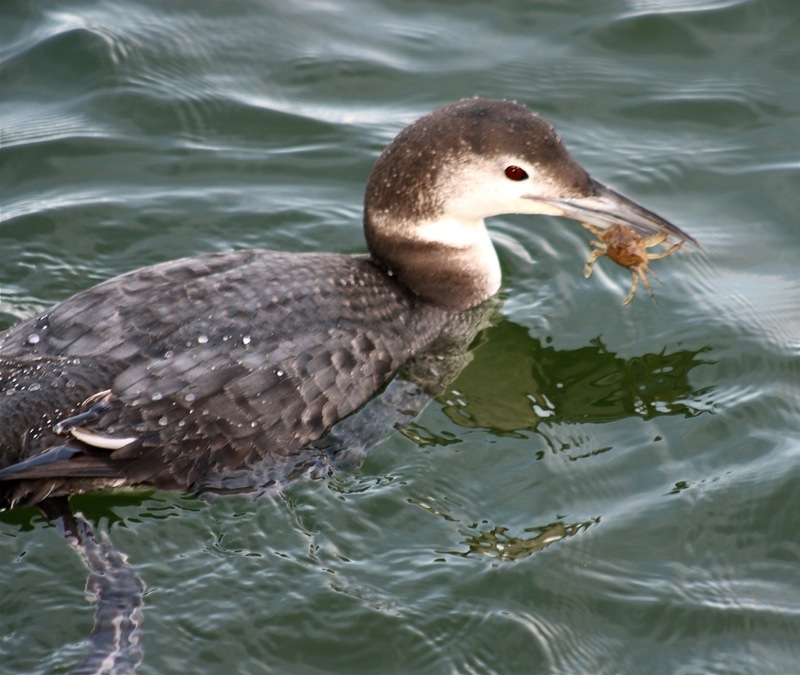 I watched the loon dive for long periods, then break the surface with four small blue crabs that had been attached to the pilings of the pier. 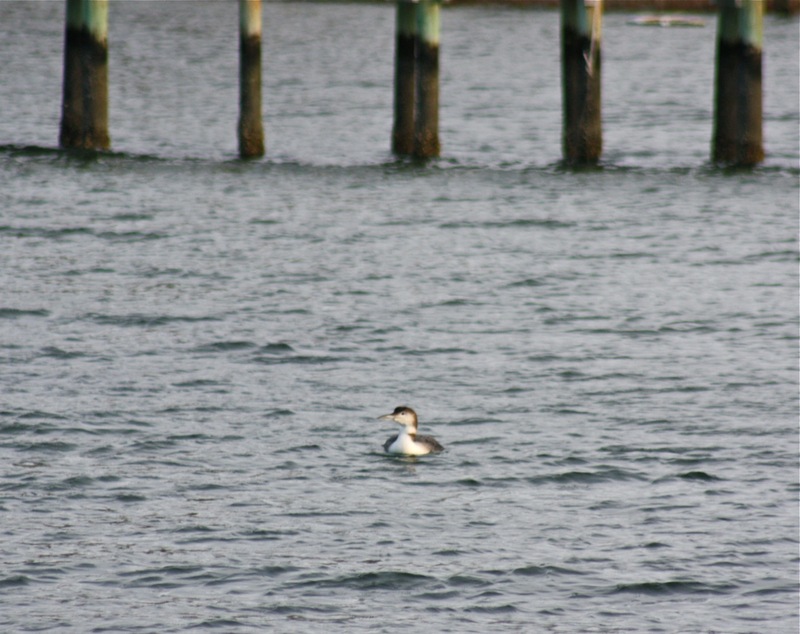 Before I knew it, the show was over and the loon was moving toward deeper waters. I could exhale….